Hey, guys Here is a video about how to grow weed/marijuana indoors in a small location such as a closet. Should be helpful for all growers though. Please share, like, and subscribe. Comment for all questions! Took some time here to research. Hints and Tips to properly water your garden. Too much or not enough can be hurtful. HyrgoHybrid explains good watering techniques. Lately, the legalization of cannabis is a hot topic of discussion. Since we have posted several links about the good, the bad and the ugly of the marijuana issue, we came across an amazing story to tell. We recently met a young fellow from the Caribbean, Jamaica to be precise. We were having a discussion with him about new articles in the Flowers and Gardening Section of FlyerMall – Cannabis Marijuana came up. Some of you may already be smiling knowing the benefits and effects of Bob Marley’s sensemelia. This young man apparently suffered from Asthma and as a child frequently had to visit the hospital for treatment of regular attacks. He commented that he “technically” did try cannabis once only at the age of nineteen (19) years after persuasion of his family members and on the recommendation of people who knew of his asthma systems. He further stated that since that time he has never suffered an asthma attack. The young man did not smoke a joint. In fact, he drank “ganja tea”, i.e. marijuana boiled in water for a period of time, sweetened with sugar and drunk like tea. More clarification: a fistful of marijuana boiled in water, left to settle until congealed and sweetened to taste. Fifteen minutes after drinking the tea, he added that he began to see double and passed out for three (3) days. No one was able to wake him up. When he did finally come to and years passed, he swears that he had no recollection of ever having an asthma attack again and felt like a brand new person! A TRUE, TRUE, TRUE STORY FROM BACK A YARD! Bombacloth! Dean of St. Catherines, Jamaica. Researchers from the University of Bonn, together with colleagues at The Hebrew University of Jerusalem, have discovered that cannabis has age-reversing effects in the brains of mice. This work could potentially help us develop new treatments for dementia. The team used two-month-old mice as a control group. The older mice were given an active ingredient in hemp called tetrahydrocannabinol (THC) for a period of four weeks in non-intoxicating doses. Their tests revealed that mice who received THC displayed cognitive abilities as good as the control group mice. 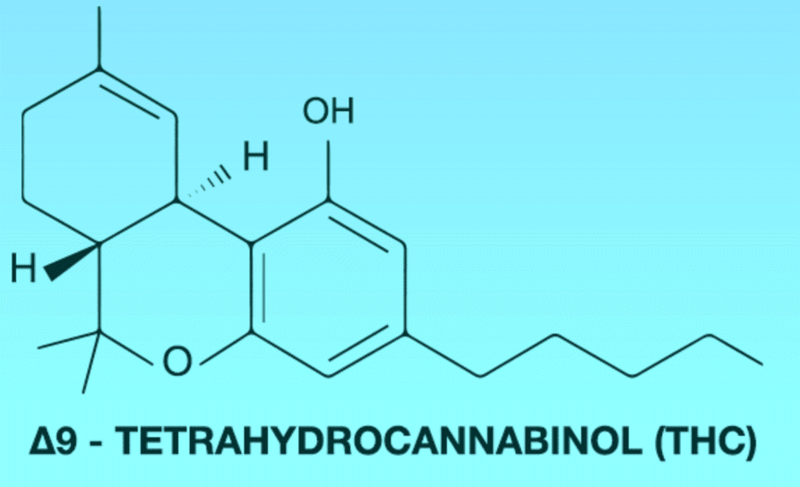 This age-reversing effects of cannabis occur as THC imitates the effect of naturally produced cannabinoids in the body, which are crucial for some of the brain’s important functions. Furthermore, the researchers realized that cannabis reverses aging by making the brain cells in the mice younger. To this end, they saw that links between nerve cells increased and their molecular signature resembled those of young animals. “It looked as though the THC treatment turned back the molecular clock,” Zimmer added. The treatment once tested and proven to be effective in humans, could help improve the conditions of people suffering from dementia. This disease, which affects more than 47 million people worldwide, often leads to cognitive disabilities — memory loss and behavioral disorders — that hinder a patient from performing day-to-day tasks. Svenja Schulze, science minister of North Rhine-Westphalia, outlines exactly how helpful this study could be for future treatment in the elderly. “The promotion of knowledge-led research is indispensable, as it is the breeding ground for all matters relating to the application,” he stated in the press release. “Although there is a long path from mice to humans, I feel extremely positive about the prospect that THC could be used to treat dementia, for instance.” To that end, Zimmer and his team are now preparing for human clinical trials.